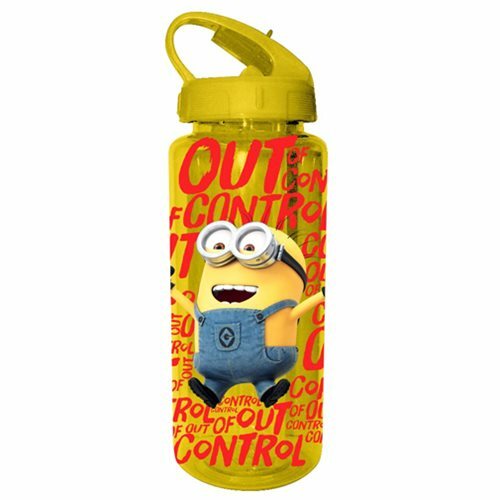 Shopping for Despicable Me / Minions Water Bottles? Those lovable yellow Minions are out of control again, and this time they're shaking up this Despicable Me Out of Control 20 oz. Tritan Water Bottle! Really now, how can you live without it? Hand wash only. Not dishwasher safe. Do not microwave. Measures approximately 9 1/2-inches tall. Ages 14 and up.